OK… we all know this. 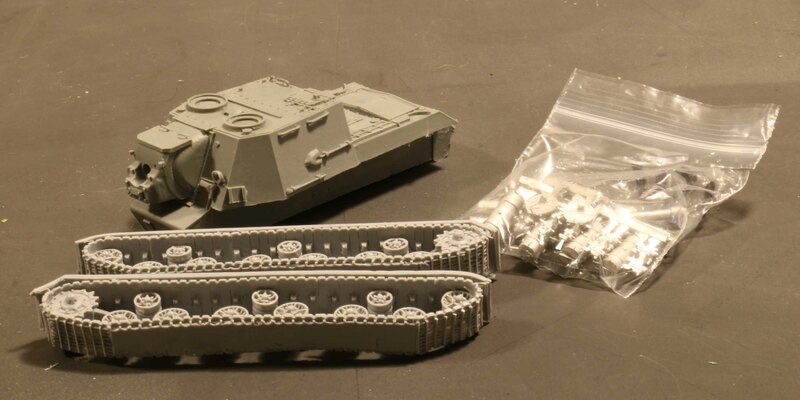 You plan a wargaming project, but somewhere along the road you loose interest or decide to do it in another way, but you have already done the shopping or modeling. And then it is only stuff you have lying around, gathering dust. I am not different. So here is my little flea market. If you want anything, drop me a line using the “Contact me” field to the right. All prices are in Euro and exclude shipping. If you buy only books there might still be cheaper options. I always go for the cheapest option and will split items if that makes it cheaper. If anything is too large or heavy to be shipped outside Germany, will be marked that way. If you are inside Germany or another Euro-Country you can pay me using IBAN (free bank to bank transfer). If this does not apply to you I will accept PayPal (as a gift transfer). If a ruler can be seen in the picture, it shows inches! Lots will not be broken up. 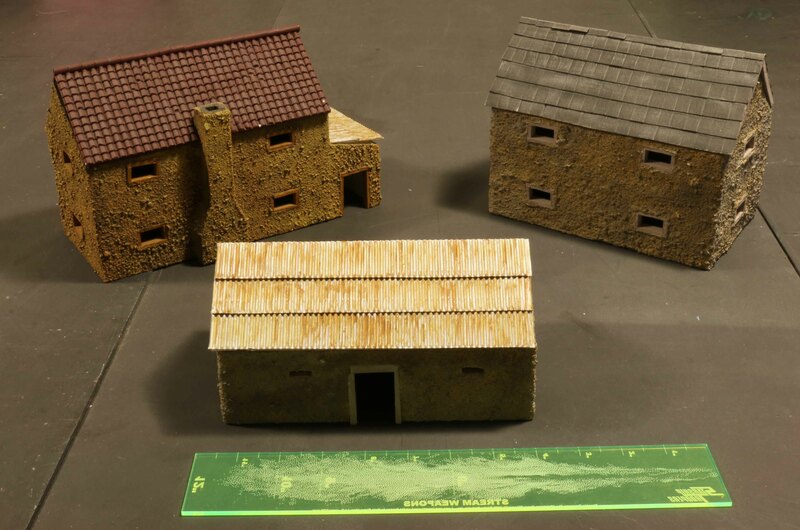 Maki Games Kickstarter Terrain. Equivalent of a Marine pledge plus add-ons, Original value is roughly 330,00 USD. 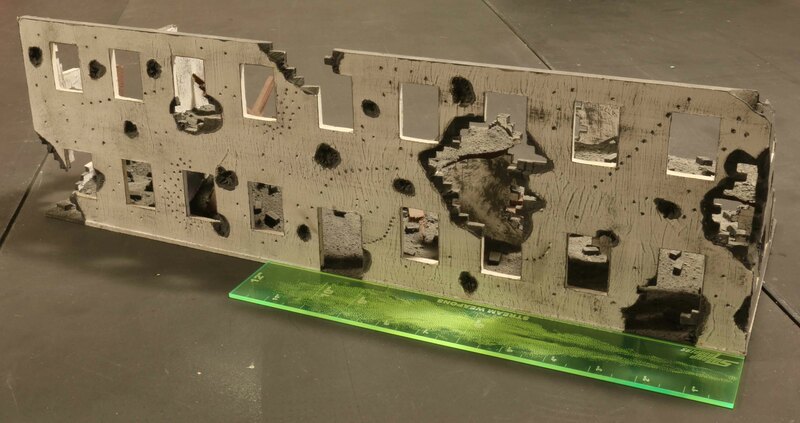 This includes 10 SciFi Makitainers (plus a few bonus ones), 5 high Makitainers and 10 Industrial Makitainers, two landing pads and enough stairs, connectors, door poles, balconies and railings to go with them plus a lot of pewter parts. Clapboard house from Guiney Station. South of Fredricksburg where Stonewall Jackson died 1863. 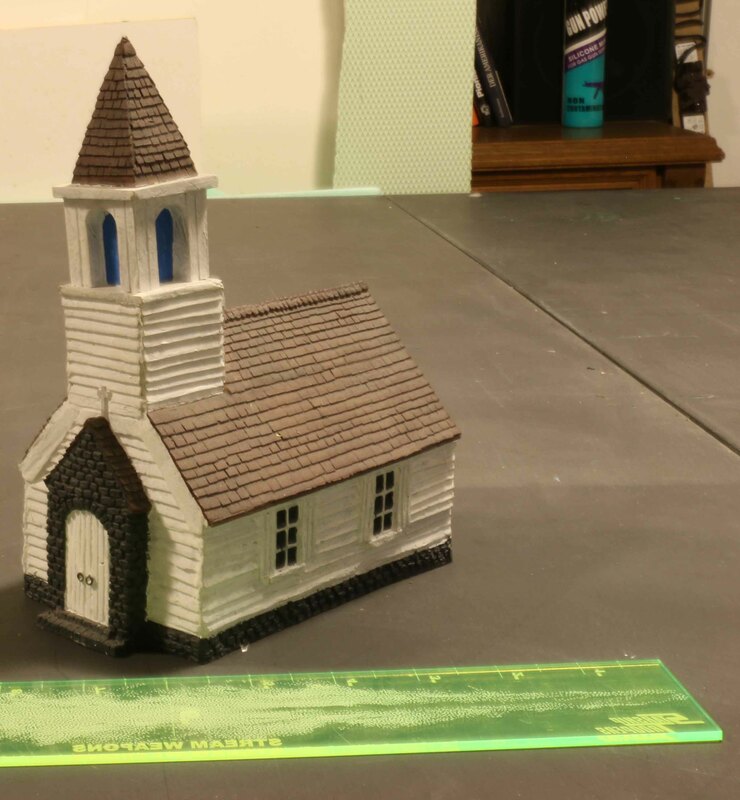 Weather boarded Church with spire, brick foundation and porch. 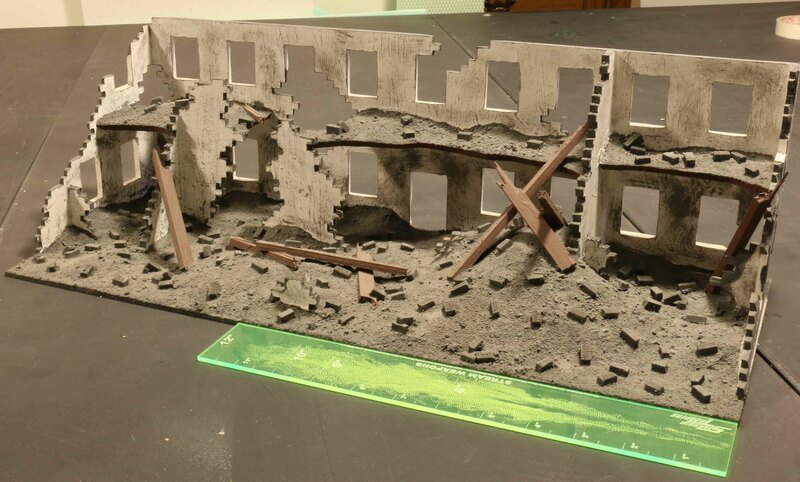 Ruin build from foamcore, high density styrofoam and wood. All the rubble has been arranged, that minis based on 1″ bases will be able to stand on it vertically. 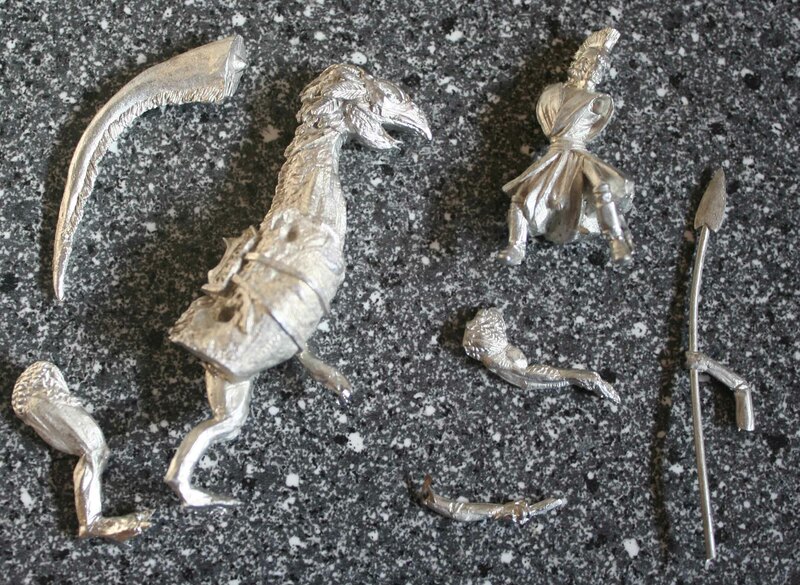 In most places this will also work for minis on smaller bases (UK coins). 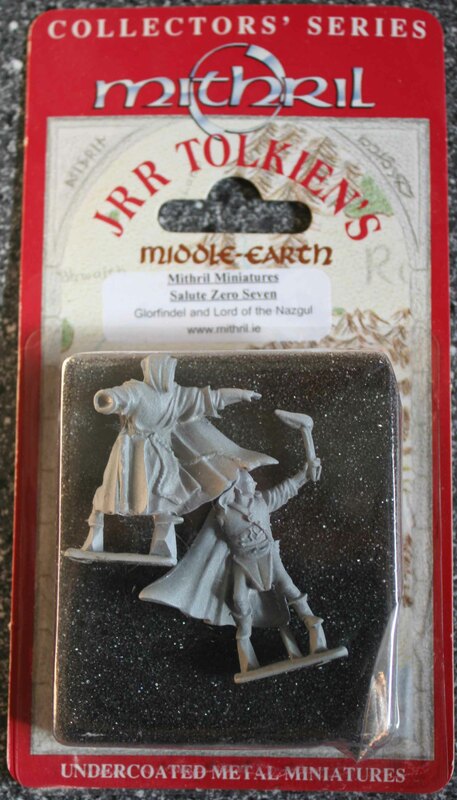 Suitable for 25-28mm minis. 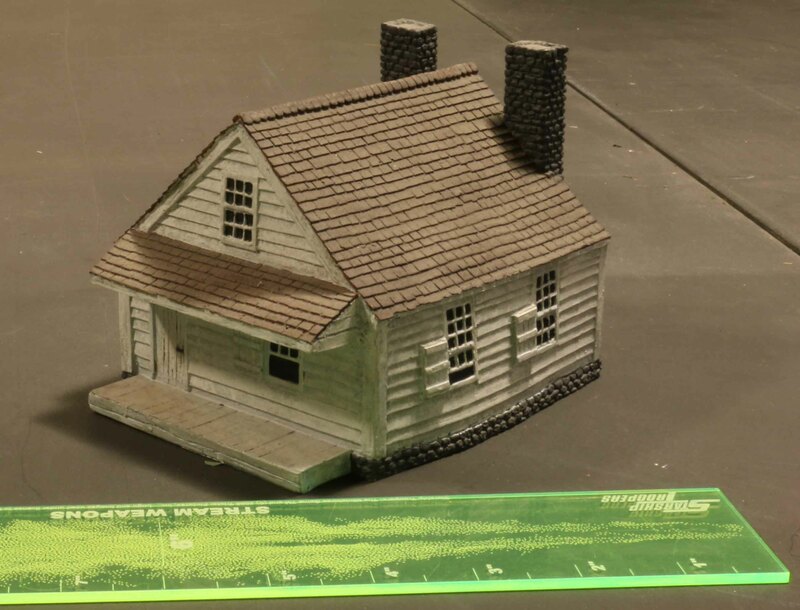 Building from foamcore. 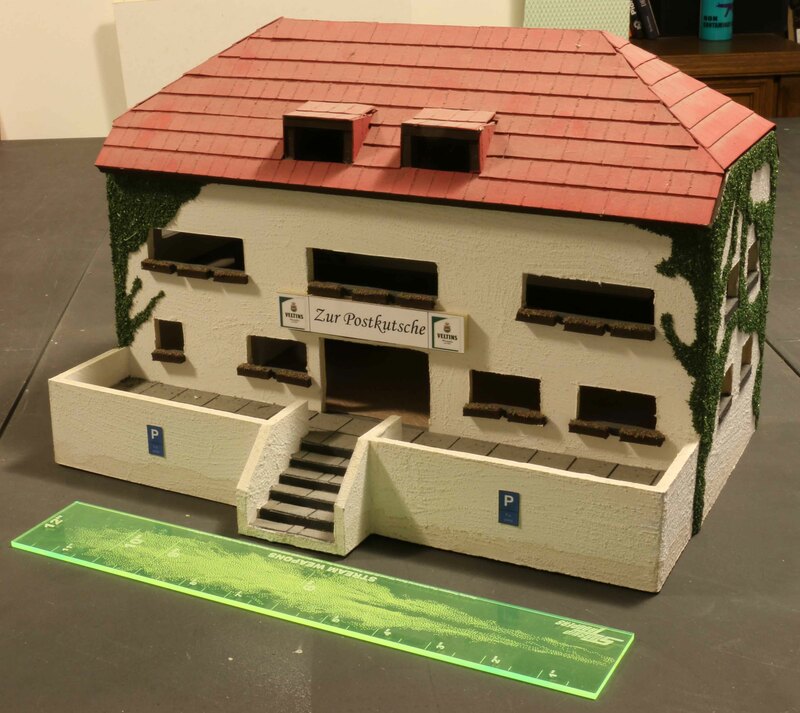 All doors are wide enough, that minis based on 30mm bases will be able to stand in the doors. All floors lift off to allow movement inside. Imitation wooden floors and wallpaper inside. Signs fit the post WWII period. Suitable for 25-28mm minis. 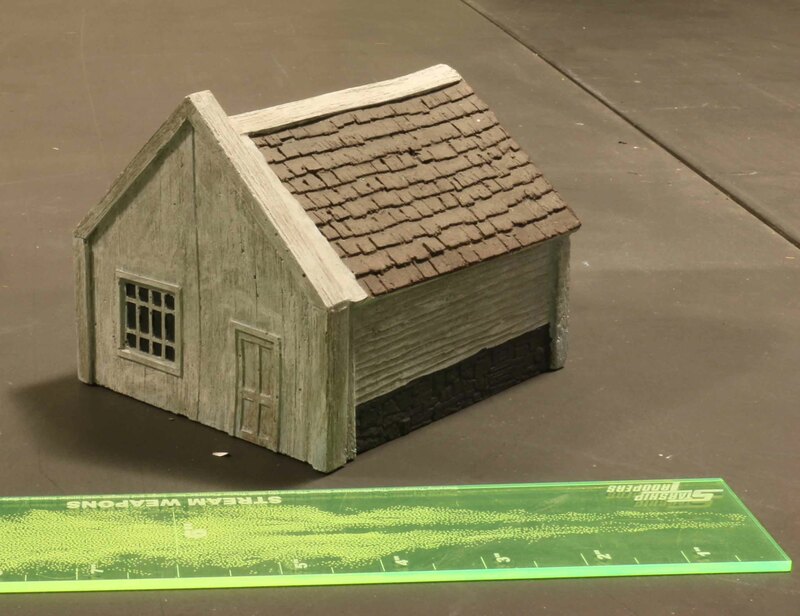 Building from foamcore. 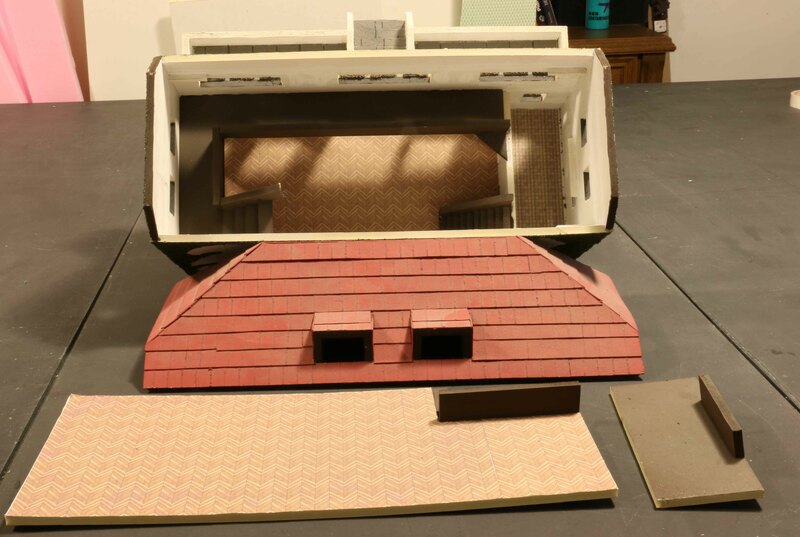 All doors are wide enough, that minis based on 1″ bases will be able to stand in the doors. All floors lift off to allow movement inside. Signs fit the WWII period. Suitable for 25-28mm minis. 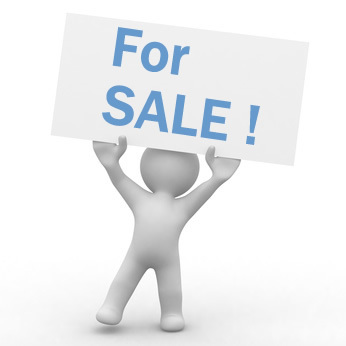 Note building is not yet complete and requires to be finished by buyer. 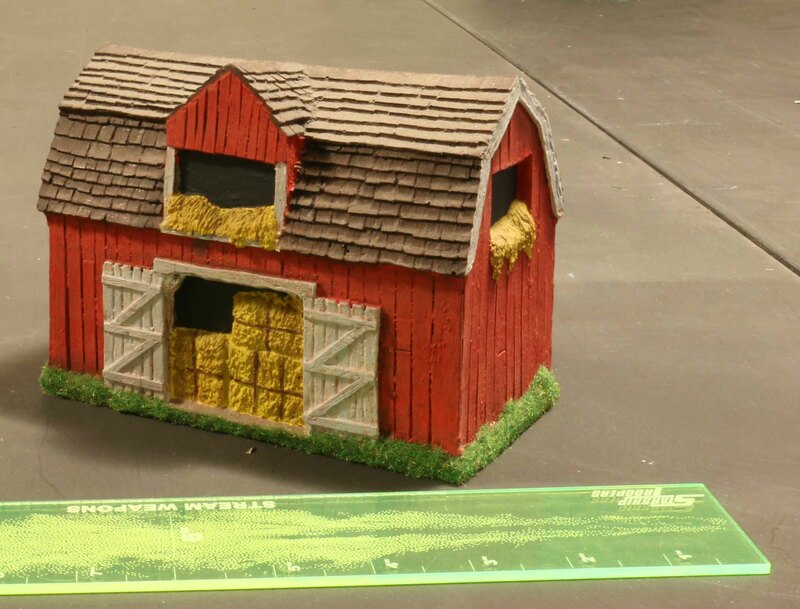 3 building from foamcore. 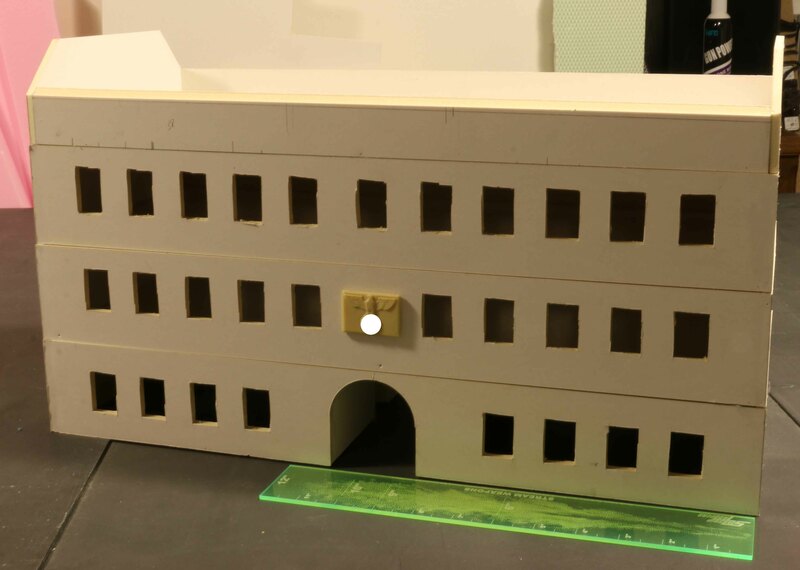 All doors are wide enough, that minis based on 1″ bases will be able to stand in the doors. All floors lift off to allow movement inside. Suitable for 25-28mm minis. 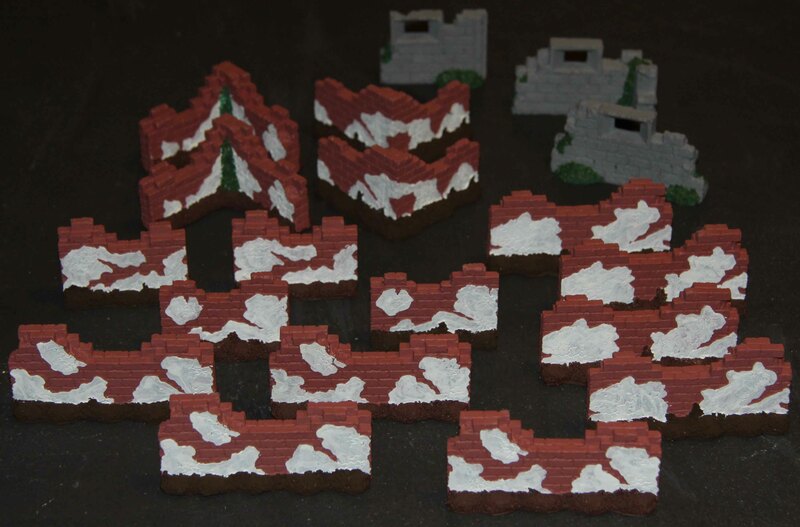 Set of 19 wall pieces. These might either be from i-Kores Void range or Target Games Warzone range (or both). To my knowledge these are OOP. Painted and ready to play. 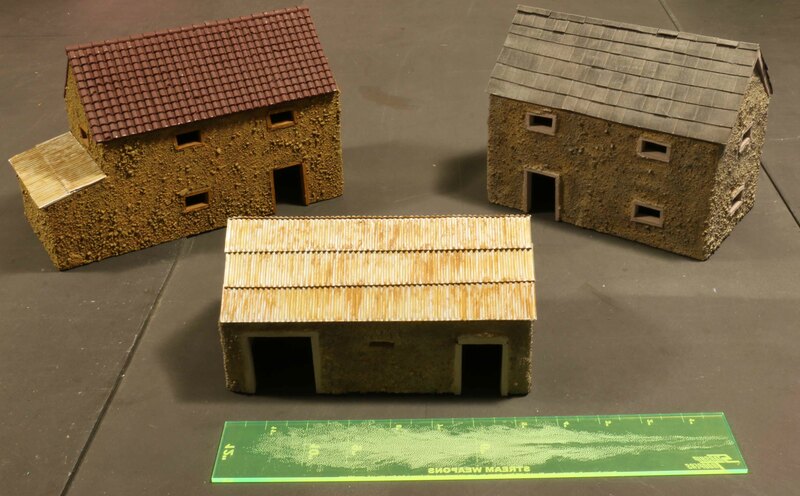 Suitable for 28mm minis. 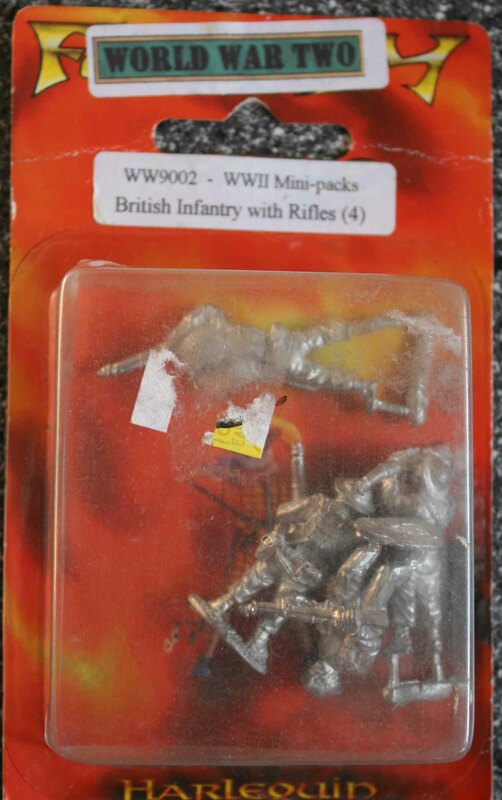 As far as I can tell all minis are from Great War Miniatures. 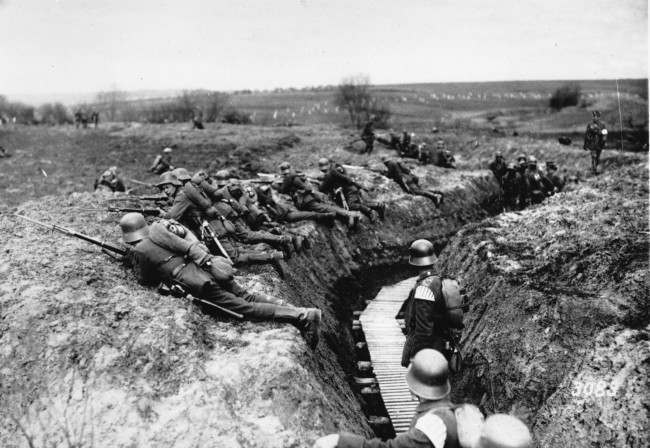 There are 75 Officers / NCO / soldiers / LMGs, 2 Tank Crew sets, 1 Artillery Crew set, 2x Toffee Mortar teams, 1x Vickers HMG set, 1 Messanger, 1 Signaler, 1 Sniper, 6x Trenchfighter, 6x Cavalry, 1 13 pdr MK I gun (all late war period). 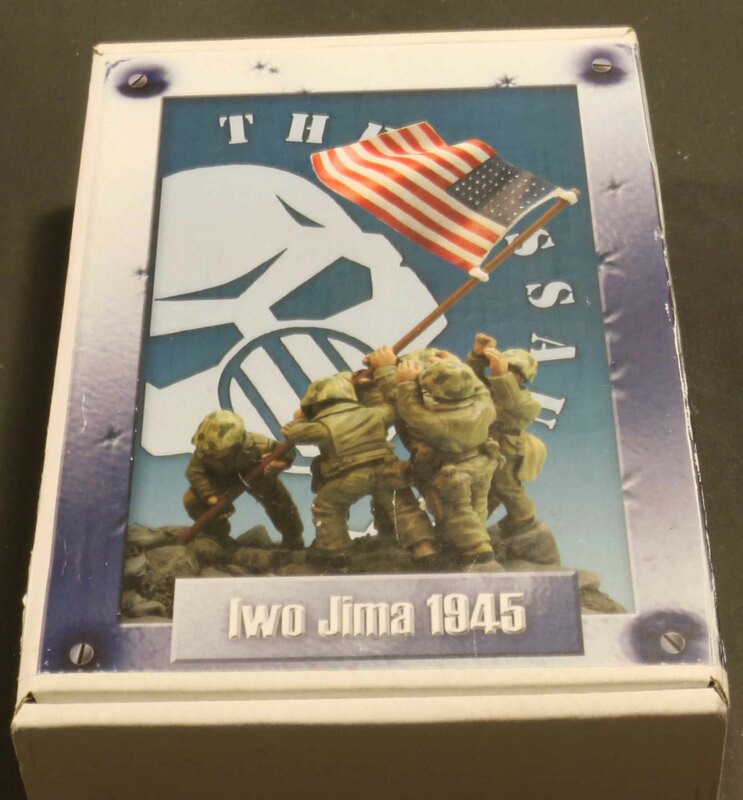 As far as I can tell all minis are from Great War Miniatures. There are 3 NCOs / Messangers 5 Trenchfighter, 4 snipers (all late war period). Manufacturer unknown. 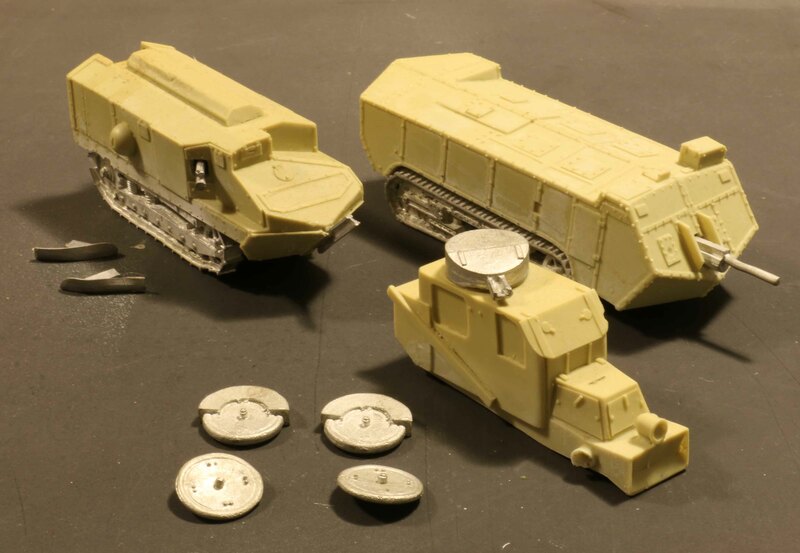 In scale with the Great War Miniatures tanks. Warlord Games 1:56th scale Soviet WWII ISU-122/152 kit. 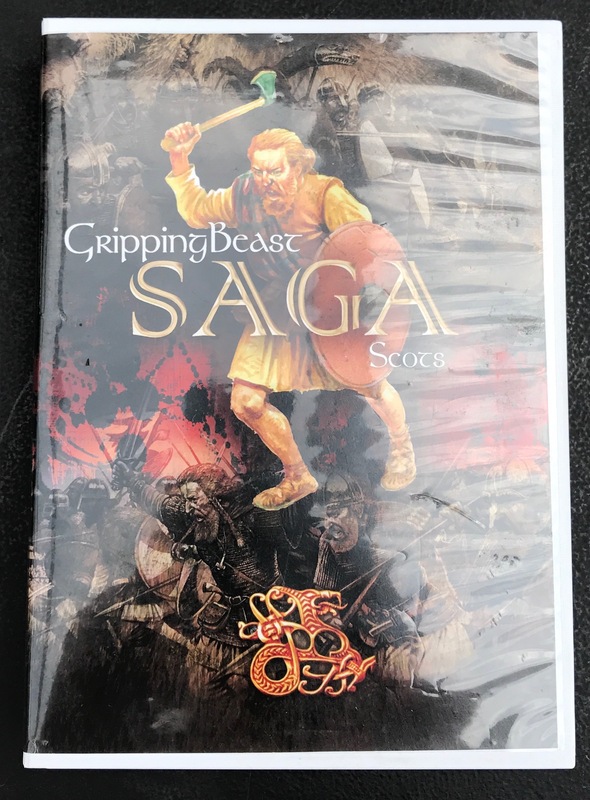 Complete SAGA 4 points Scottish Starter from Gripping Beast. 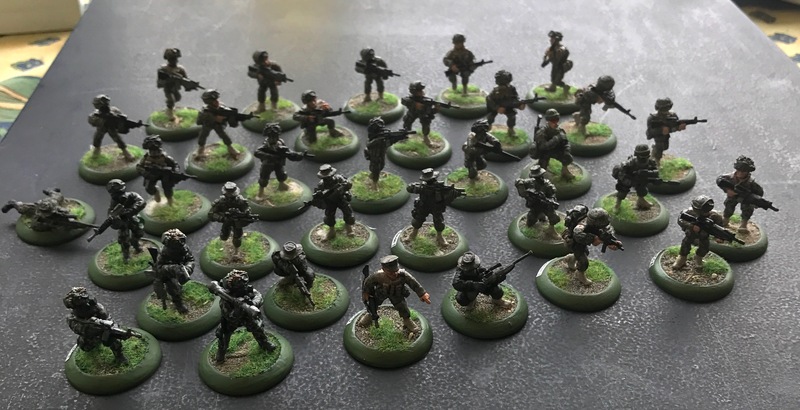 8 Ultra Modern Russians from Devil Dog Design now long OOP, some of these have been converted. 8 Ultra Modern Russians from Devil Dog Design now long OOP and The Assault Group, some of these have been converted. 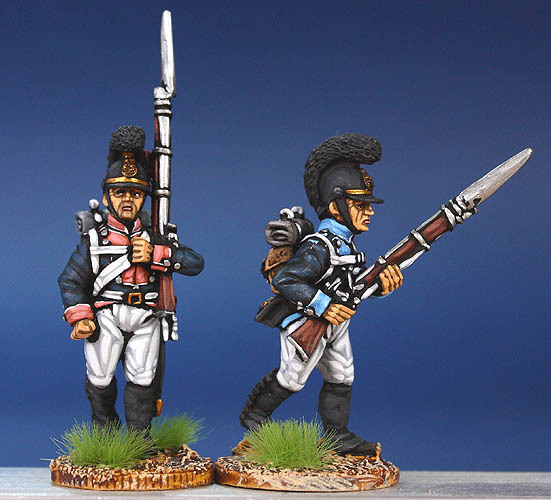 4 Ultra Modern Russians from Devil Dog Design now long OOP, some of these have been converted. 8 Ultra Modern Russians from The Assault Group. 6 Cold War to Ultra Modern Russians from an unknown manufacturer. All of the above Ultra Modern Russians for 95 EUR if bought together. 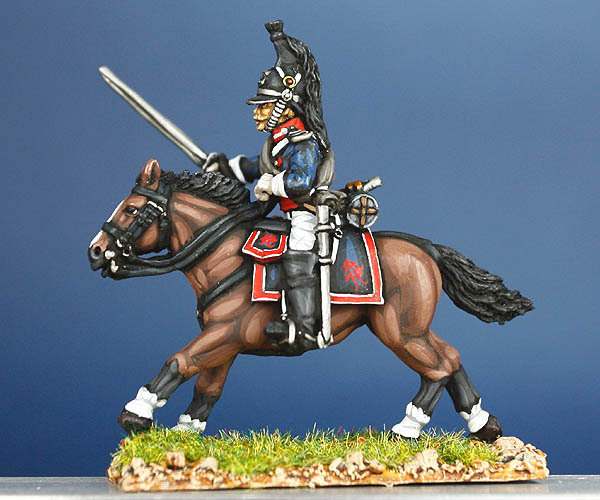 Württemberger Line Infantry, 29 Miniatures from Front Rank, mix of marching and High Porte Infantry, officers, standard bearers and musicians. Spartans for Crocodile Games Wargods of Olympus. There are 2 chariots (with 1 crew), 2 charging Leonidas, 3 Heros / Captains, 2 Guards, 2 Strategos, 1 casualty, 2 armour rack (only one on this picture but there are two), 30 Warriors (including 3 standards and 3 musicians) and 20 Peltasts (including 2 captains). 10 Nekharu Archers. For Crocodile Games Wargods of Aegyptus. 10 Nekharu Warriors with clevers. For Crocodile Games Wargods of Aegyptus. 3 28mm female soldiers. Cast in Resin, new in original packing. Skinnie Warchief from Mongoose Publishings Starship Troopers range and his lizard / bird like riding animal. AFAIK now OOP. 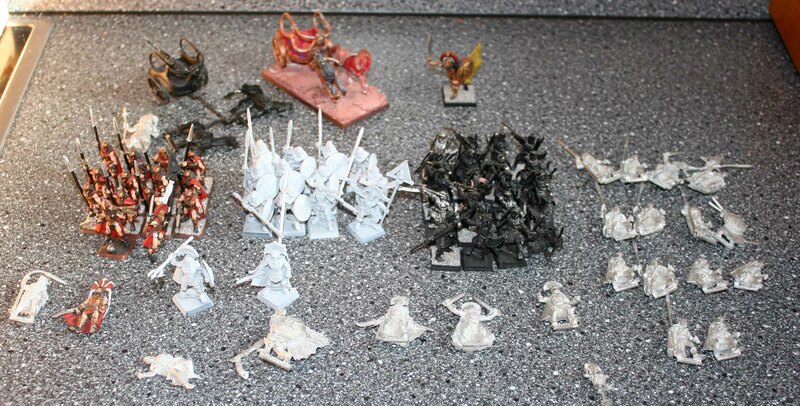 Lord of the Rings, Glorfindel and Lord of the Nazgul, Salute 2007 special minis. 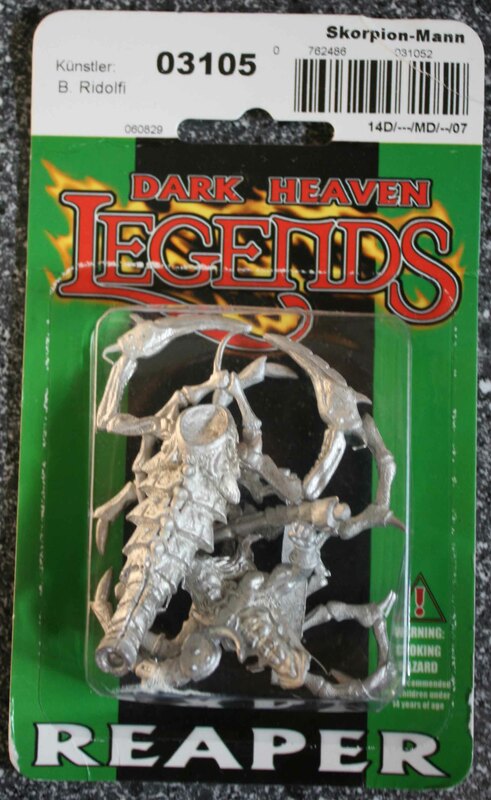 In original mint packaging. Reaper Miniatures “Skorpion-Mann”. In original mint packaging. 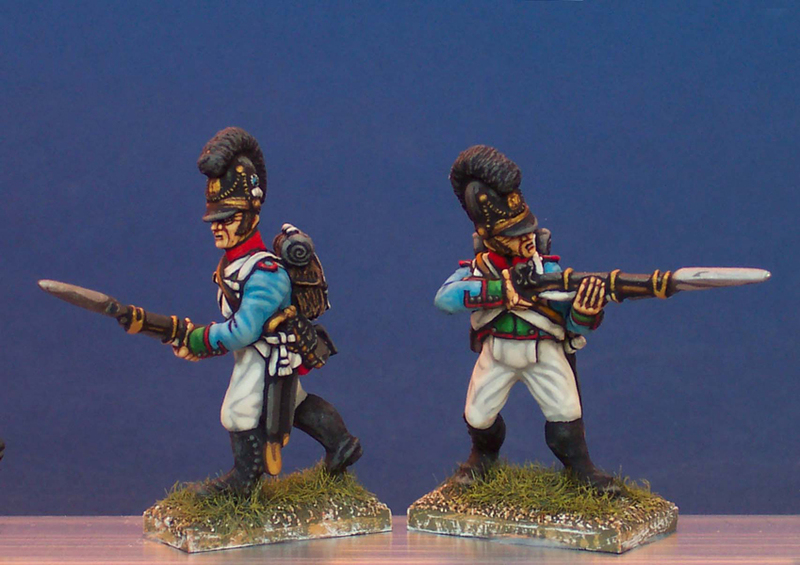 4 WWII British Infanry with rifles from Harlequin Miniatures. In original mint packaging.